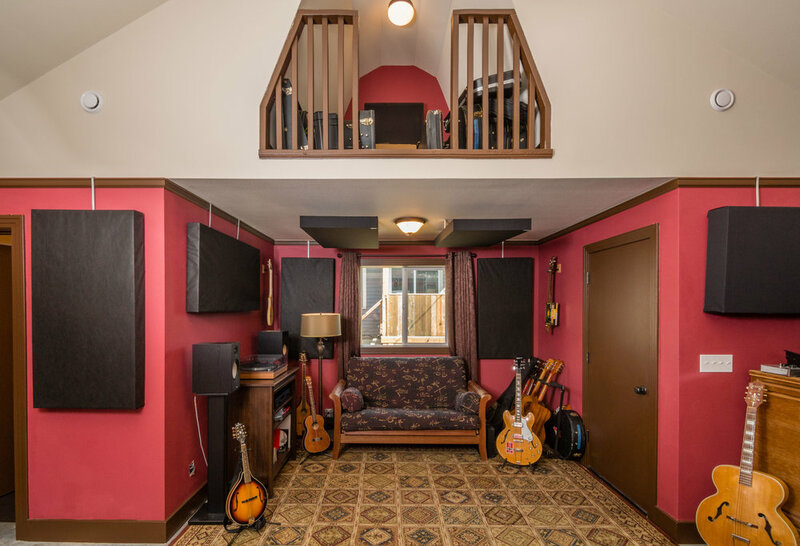 This home recording studio was built from the ground up for a full time composer and recording artist. 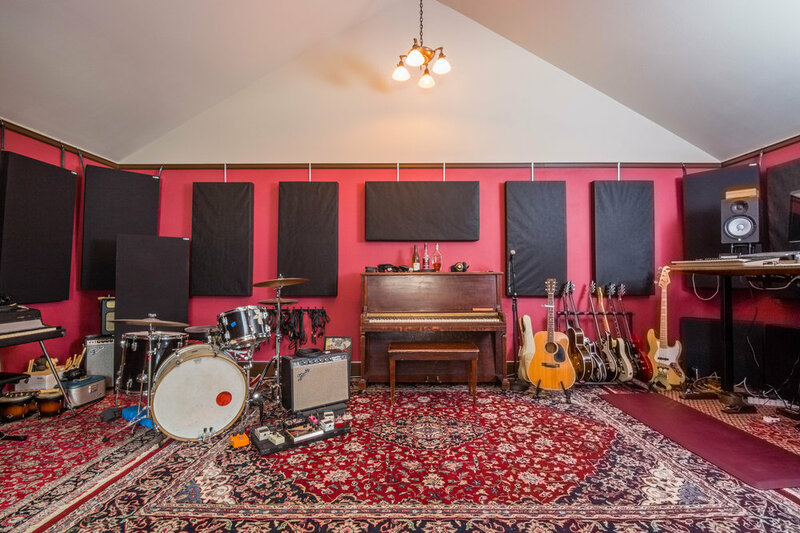 High ceilings were used to provide a large sound with natural reverb. 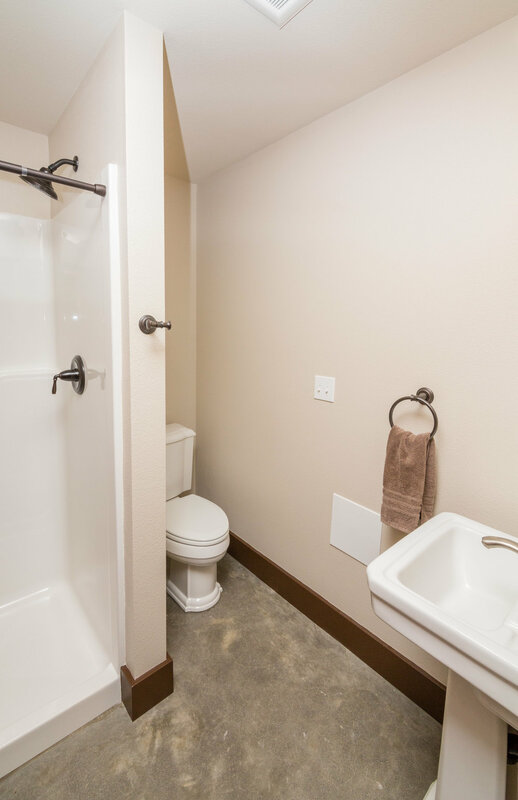 The walls are full double stud construction with intensive sound treatments including air tight envelope, high density insulation and heavy duty doors and windows. The structure is located in the flight path for Portland international airport and interior sound level goals were met allowing for recording without interruption.